Please feel free to contact us to provide your feedback. Your opinion is very important to us because it helps us improve the services we offer. 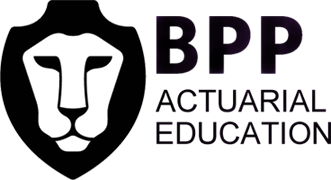 The Actuarial Education Company (ActEd) is a subsidiary of BPP Actuarial Education Ltd. ActEd is contracted to provide actuarial tuition for students on behalf of Institute and Faculty Education Ltd (IFE), a subsidiary of the Institute and Faculty of Actuaries (IFoA). The IFoA, through IFE, set ActEd’s prices each year. The Office of Tuition Monitoring (OTM) has responsibility for monitoring the quality of all aspects of ActEd’s services to ensure that they meet strict standards. You may meet members of OTM at ActEd’s tutorials from time to time. 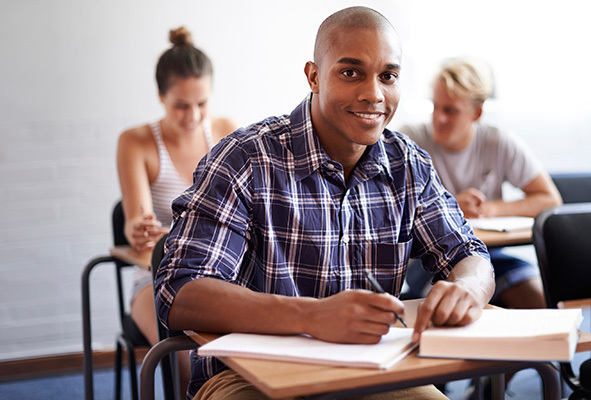 All aspects of the examination process (Syllabus, Core Reading, exam dates, exam entry, exam setting, exam marking, communication of exam results, and production of Examiners’ Reports) are the direct responsibility of the IFoA. Full details of the examinations are given on the IFoA website. If you have any comments about ActEd’s services please email us in the first instance. We will endeavour to act on any suggestions or complaints and we will copy correspondence to OTM where appropriate. If you are unhappy with our response, you may wish to follow BPP’s formal complaints procedure or take your complaint directly to OTM. Fancy being an ActEd tutor? We are always keen to meet highly motivated individuals with excellent communications skills and a strong academic history to join ActEd's team of tutors. Please read our Recruitment information for actuaries for further information. If you are interested in joining ActEd, please send an email to Ian Senator. Gresham currently teaches CB2, SP4, SP5 and SA4. He graduated from Cambridge University in 1996 with a degree in Natural Science and spent much of his earlier actuarial career with Bacon & Woodrow (now Aon), where he worked in their Birmingham office. He completed the actuarial exams in 2001. In 2016 he gained an MA in Online and Distance Education from the Open University. Gresham enjoys trail running, hill walking and spending time with his family. Lynn currently teaches Subjects CB1, CP1, SP2 and SA2. After graduating in Mathematics from Oxford University in 1993, Lynn worked in the insurance sector. She completed the actuarial exams in 1996 and was both an ActEd marker and an Examiner prior to joining ActEd. Outside work, Lynn’s main interests are running, fell-walking and appreciating wine. Anna joined ActEd in 2003 and teaches Subjects CM2, CP1 and SP9. After obtaining a First Class Honours degree in Mathematics and French from Swansea University in 1997, she subsequently worked for Norwich Union (now Aviva) in Norwich and AXA-Sunlife (now also Aviva) in Bristol. She is a qualified actuary, has a life insurance background and has marked exams for the Institute and Faculty of Actuaries. She has been heavily involved at ActEd in various projects, including setting up the Online Classroom, Live Online tutorials and the Actuarial Technician Apprenticeship Programme. Anna lives in Oxford, plays the oboe and piano and is trying to walk the AA’s 1001 walks around Great Britain by the time she is 80. She has a son at primary school. Duncan is a qualified actuary who joined ActEd in 2009 after spending over 4 years working for Tillinghast. He was previously a lecturer in mathematics at Hertford College, Oxford. He teaches / has taught SP8 and SA3. When not working, Duncan enjoys composing music, reading and swimming. Bev joined ActEd in 1999 and currently teaches Subjects CS1 (paper A and B), CM1 (paper A and B) and Level 4 apprentices as well as having responsibility for the admin and marking teams. After obtaining a First Class Honours degree in Mathematics from the University of Nottingham, she completed a PGCE. She taught Mathematics at St Bartholomew’s School, Newbury and was then Head of Mathematics at Kennet School, Thatcham. Bev enjoys keeping fit, walking and travelling. Sarah joined ActEd in 2011 and currently teaches CP1, CP2, SP1 and SA1. Sarah graduated from the University of Cambridge with a degree in Natural Sciences. Her actuarial career began in 2006 when she joined Watson Wyatt (now Willis Towers Watson), working in life insurance. Her time there included secondments to the Hong Kong and Sydney offices, and she qualified as an actuary in 2010. Sarah lives in Surrey with her husband and two young boys. She is a member of a local amateur dramatics group and gets involved both on-stage and behind the scenes. She also enjoys travelling (although prefers shorter flights these days!). Robert (FIA 1990) joined ActEd in March 2000 and currently teaches Subjects CM1, CS2 and induction courses. Robert was a Senior Lecturer in Actuarial Science at the City University, London, where he taught a variety of actuarial subjects to undergraduates and postgraduates, supervised MSc and PhD projects, and participated in research. He has also contributed to many of the profession’s education and research activities. Robert has a PhD in Population Genetics from the University of Liverpool, and spent his formative actuarial years with the NFU Mutual in Stratford-upon-Avon. Robert is a singer of classical music, he conducts a small a capella choir, and he is a bellringer, teaching and leading the bellringers at his local church. He also enjoys walking, running (slowly), natural history, and being with his family. Darrell is Managing Director of ActEd. He joined ActEd in 1998 after spending over 5 years working for Pearl Assurance in Peterborough. He obtained a First Class degree in Mathematics from the University of Warwick in 1992 and became an FIA in 1997. Darrell currently teaches Subjects CM1 and SP2. He is heavily involved as an (unfit) player, coach and umpire with a local hockey club and a governor/trustee of a secondary school. Lucy joined ActEd in late 2018 and currently teaches CM1. Lucy graduated from Kent University in 2008 with a Financial Maths degree and then went to work at PwC where she got her ACA (Chartered Accountancy qualification). Having found that far too exciting, she joined the corporate pensions consultancy team in PwC’s Reading office in 2012 and started studying for the actuarial exams. Lucy qualified in early 2017 and shortly afterwards moved to XPS (previously Xafinity) to work more with pension scheme trustees and members. During her career in pensions, she was involved in lots of training, coaching and team leadering. Outside of work Lucy is a trustee for a charity in Reading, which provides education and support to marginalised women. She also enjoys watching her favourite bands, hiking and making a fuss of her cat, Bella. Helen joined ActEd at the start of 2000 and teaches Subjects CB1, CP1, CP3 and SP4. After obtaining a PhD in Applied Mathematics from Exeter University in 1992, Helen joined Sun Life in Bristol as an actuarial student. She became an FIA in 1997, and subsequently worked for Friends Provident as a marketing Actuary. Helen enjoys spending time looking after her family, dancing, cooking and walking the dog. Emma joined BPP as a qualified Actuary in 2015 after spending 12 years working within Financial Services. During this time she worked in Deloitte, EY and HBOS/LBG in Guernsey, Bristol and most recently Edinburgh where she managed a large team of actuaries and analysts. Emma has a 1st degree in Mathematics which she earned whilst studying in Bristol. During her degree she spent a year working for the Ministry of Defence within a statistics department. Outside of work Emma loves to travel and has been to all corners of the earth, particularly enjoying the bullet trains of Japan and the salt lakes of Bolivia. Emma is also a keen runner and has completed half marathons in Bristol, Bath and Edinburgh and hopes to one day complete the London marathon. Steve joined ActEd in 2013, and currently teaches CM2, CP1 and CP2. Steve worked at The Phoenix Group (the UK’s largest closed life and pension fund consolidator) for ten years in a variety of different roles, and qualified in 2010. He later went on to become the Actuarial Sciences Programme Director at the University of Leicester. Steve is also busy at home with three children, and a small church group. Richie graduated from the University of Southampton in 2013 with a first class degree in Economics and Actuarial Science before going on to join Mercer in their pension consulting business. After a number of years working across multiple teams at Mercer, Richie joined ActEd and currently teaches CP1 and CB2. Richie’s interests include travelling and visiting new places, scuba diving and exploring the new forest and its surrounding beaches with his wife and dog. David has been an ActEd tutor for many years and has tutored a wide range of subjects during his time here. He now focuses on teaching the early subjects – the computer-based ones, in particular. David obtained an MA in Mathematics from Cambridge University in 1982. He qualified as an FIA in 1988 and is an active member of several other mathematics-related organisations. Before joining ActEd’s predecessor (Hazell Carr Training) in February 1991, he worked for two pension consultancy firms. Throughout his career he has been heavily involved in computer development and now uses his experience of Excel and R to tutor the computer-based exam subjects. David lives in London. He has a keen interest in European languages and developments in science and mathematics. He enjoys attending film festivals and has recently become addicted to tracing his family tree! Michael has been training actuarial students since 1992, when he joined ActEd. He had previously been a secondary school teacher, teaching mathematics and statistics and running a maths department. He completed the actuarial exams whilst working for ActEd, and now teaches a variety of actuarial subjects, the current emphasis being on CS1, CS2 and CM1. When he’s not working, he enjoys singing (with a chamber choir in Oxford), walking and playing duplicate bridge. Simon joined ActEd in 2007. He is currently Director of Actuarial Apprenticeships. He teaches / has taught CB1, SP5, CP2, CP3 and SP9. Simon gained a degree in Mathematics and Statistics from Sussex University in 1988. He qualified as an actuary in 1994 with Prudential. Simon has experience in wider fields having helped set up Prudential Banking and create the internet bank Egg. He has also worked as an independent consultant and coach. Simon is married with two rapidly growing children. Simon is a keen skier. He juggles fire. John joined ActEd in July 2001 and currently teaches Subject CS1 and parts of CS2. John graduated in Mathematics from Oxford University in 1991 before completing a PGCE also at Oxford. John taught mathematics, statistics and finance at a number of schools, and was Head of Mathematics at his last school. John qualified as an FFA in 2008 and then promptly took a sabbatical to attend King’s Bible College. He led an organic church for 2 years before moving into writing. John has written ten books under a pseudonym, six of which are Christian satire and parody, he also runs a Christian satirical news website. John is married and has four children (Lizzie, Josiah, Hannah and Levi) and daily wonders how his wife still finds the same jokes funny after more than 20 years of marriage. So when John is not wrestling with his work life balance, or literally wrestling with his children, then he’s wrestling with writing funny words on a bit of paper in his cramped study. Julie graduated from the University of Edinburgh in 1992 with a First Class degree in Mathematics, and again in 1997 with a PhD in Mathematics. Before joining ActEd in February 2000, she spent 4½ years as a lecturer in the Department of Mathematics at Glasgow Caledonian University. She currently teaches Subjects CS1, CS2 and CM1. Julie is married to Ian, a systems engineer, who works in Bavaria and spends a lot of time on EasyJet. Andrew joined ActEd in December 2018 and currently teaches CS2. He studied MMORSE at the University of Warwick and graduated with a First Class Honours degree in 2011. He started his career in the pensions team at Deloitte where he qualified as an Actuary in 2014. He subsequently worked for BT and Aon providing data analytics and pensions consulting services. In his spare time, Andrew does Taekwondo and enjoys playing badminton and five-a-side. Colin joined ActEd in 1999 and currently teaches Subjects SA7, SP5, CP1, CB1. After obtaining a First Class degree in Mathematics and Natural Philosophy from the University of Glasgow, he joined Scottish Mutual, then Scottish Amicable, as a fund manager, where he completed the actuarial examinations in 1989. He then worked for the Bank for International Settlements in Basel, Switzerland from 1991 until he joined ActEd. Colin enjoys squash, golf, walking and playing the piano in his spare time. Darren joined ActEd in 2014 and currently teaches SP7, SP8 and SA3. Darren graduated with a First Class degree in Maths from Cambridge University and qualified as an Actuary in 1998. He has 20 years of General Insurance consulting experience, primarily in the London Market, having previously worked for Bacon & Woodrow, KPMG, Tillinghast (now Willis Towers Watson) and Deloitte. Darren was the chairman of the Institute of Actuaries’ General Insurance Research Organising (GIRO) Committee from 2007-2010, which amongst other things is responsible for running the UK’s annual General Insurance Actuarial Conference. Outside of work, Darren is a qualified tennis umpire and has regularly umpired at tennis tournaments around the world, including Wimbledon, the Australian and US Opens and the Olympic and Paralympic Games. Mark joined ActEd in 2007 and currently teaches CM1, CM2 and CS2. He graduated from Cambridge University in 1999 with a degree in Mathematics. He spent the early part of his career at Mercer Human Resource Consulting in Leeds, where he qualified as an actuary in 2003. He has since worked for Scottish Widows in Edinburgh. Mark enjoys travel, reading, visiting historic sites and going to the theatre. Justine joined ActEd in July 2003 and currently teaches CB2, SP4 and SA4. Justine graduated in mathematics with economics from the University of Sussex in 1987. Justine worked in the retirement practice at Mercer from 1987 until she joined ActEd in 2003. Justine qualified as an Actuary in 1995 and from 1997 was appointed as Scheme Actuary to a variety of pension schemes. Justine became a Fellow of the Higher Education Academy in 2014. Justine is married to Ian and they have two daughters, Sophie and Lucy. Justine enjoys dancing, running and reading with her book club. John joined ActEd in May 2002. He teaches Subjects CM2, CS2 and SP6 as well as ActEd’s Induction Course. John is a cycling author and competes for Great Britain in his age group at triathlon. He loves a good pub quiz and competes regularly in the Derbyshire pub quiz league. He is very bad on the guitar but still enjoys it. John is happy enough on a cycling or walking holiday in Europe with his girlfriend, Laura and their baby daughter, Jennifer. Ian joined ActEd in 2000. He currently teaches Subjects CP3, SP7, SP8 and SA3. Ian has a Mathematics degree from Kent University. He started his actuarial career with Prudential, completing his exams in 1996. He has also worked in the London Market. Ian is a very active volunteer for a national feline charity, and describes himself as having OCD (Obsessive Cat Disorder). Lindsay joined ActEd at the start of 2017 and currently teaches CP1, SP2 and SA2. She obtained a 1st class Mathematics degree from the University of Warwick in 1989 and qualified as an FIA in 1993. She has previously worked as a life insurance actuary in a couple of large UK life offices, as a consultant with KPMG and as an Education Actuary with the IFoA. In her spare time she enjoys music (watching indie bands, going to festivals), running, travel (particularly exploring all corners of the USA) and has a soft spot for greyhounds. Stuart joined ActEd in 2010 and currently teaches CT2, CA1, ST4 and SA4. He graduated from the University of Birmingham with a Masters degree in Mathematics and Statistics. He started his actuarial career with Mercer in 2003 and on qualification in 2007 he joined Garvins (who were acquired by Barnett Waddingham in 2008). Stuart has had a number of roles in helping students to qualify including developing student training, study mentoring, marking assignments and exams and as an assessor for the CA2 and CA3 courses. His interests include listening to music, languages, property, travel and football. Anna joined ActEd in 2005 and is currently teaching CB2, CP1, and SP1. After graduating from Nottingham University in 2000 with a First Class degree in Mathematics, she joined Norwich Union Healthcare (now Aviva Healthcare) in Southampton, where she lives with her partner, and three young children. She completed the exams in 2004. Anna enjoys running (anything from 5Ks to ultramarathons) and generally keeping fit. Mark joined ActEd in 2007 and currently teaches CM2, CP1, SP1, SP2, SA1 and SA2. Mark graduated with a mathematics degree from Oxford University in 1992. He then qualified as an actuary while working at Norwich Union (now part of AVIVA). Before joining ActEd Mark was a lecturer at Heriot-Watt University where he completed his PhD in the use of options for with-profits policies. Mark is married to Wenyi and they have two young children, Matthew and Helen. Mark enjoys motor racing and fossil collecting. In 1986 David graduated from Warwick University with First Class honours in Pure Mathematics and has subsequently worked for the HBOS group, Clerical Medical and The Equitable Life. He became a Fellow of the Institute of Actuaries in 1992 and worked initially in product development. Having subsequently headed up a large customer service operation David chose to re-focus his career in 2001 by moving into training and subsequently joined BPP in 2002. He is a director of BPP Professional Education which offers study support to students of the Society of Actuaries in the USA. David has completed an MSc in Organisational Development, and in 2012 he obtained the Chartered Enterprise Risk Actuary (CERA) qualification. David’s interests include psychology, the cinema, audio-visual technology, music of all kinds, singing, traveling and motorbikes. Margaret joined ActEd in September 2001. She graduated in economics and statistics from the University of Southampton before completing a PGCE at the University of London. She has also gained an MSc in Advanced Educational and Social Research Methods from the Open University. Before joining Acted Margaret taught economics, business studies, maths and critical thinking at a number of colleges, most recently at Worcester Sixth Form College. Margaret teaches Subjects CB1 and CB2. She has recently graduated from the Institute of Education, University of London with an MA in the Economics of Education. Margaret enjoys walking, music and meeting up with family and friends. Katherine joined ActEd in 2009 and teaches CS2, SP7, SP8 and SA3. After obtaining a First Class Honours degree in Mathematics and French she subsequently worked for Ernst & Young in London. She is a qualified actuary, with a General Insurance background. Before joining ActEd, Katherine taught management and finance courses for a range of professional qualifications, and lectured on the finance and actuarial degrees at Queen’s University, Belfast. Katherine enjoys skiing, diving and bell-ringing.